I’m both a business ghostwriter and an award-winning author who’s seen what a standout book can do for a career. If you want to enhance your professional reputation and speak to audiences whose lives will be enhanced by your message, an exceptional book will launch your path. Let’s get started. I don’t need subject matter ramp-up time. I know how to help you shine in a crowded and competitive marketplace. I’ve read the business bestsellers, too! I approach the project as your reader’s advocate, ever vigilant for gaps and gaffes. I’ll make your written communications sound like the real you, only better. Everything I write is original and reflects your personality and professionalism. I don’t compete with the cottage industry that churns out lightly-customized versions of the same book for dozens of buyers. Businesses professionals—especially financial advisors, who have compliance concerns—sometimes believe they must settle for this kind of book, but they’re mistaken. Let’s talk about your needs and any compliance constraints before you make a decision to go with boilerplate, okay? If you’ve already written a series of posts and newsletters, we can put flesh on those bones and turn them into all manner of content, including books, articles, presentations and speeches. Not written anything yet? That’s another viable starting point. I like starting book projects with a “Goldilocks Chapter” which is explained on this page to the right, including pricing. Let’s start with an initial phone consultation. 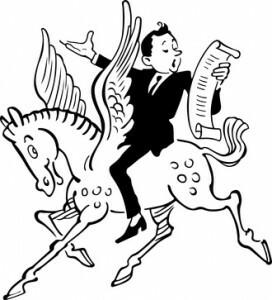 On the house for qualified prospective authors. My book clients often need my help devising their keynotes, workshops, after-dinner speeches and book tour remarks. My own experience touring the country as an author, speaker and Pecha Kucha presenter has been valuable in both preparing the formal remarks and staying focused on key messages during Q&A sessions. 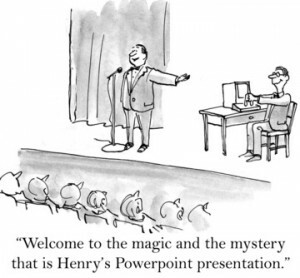 Together, we’ll craft a presentation that hits all the important points without using those dreaded bullet points. Your audience will thank you! Speaking can be a great way to test drive content for your next book. Let’s talk about that, too. I don’t write blog posts, but I do write long-form articles and white papers. My clients include CEOs of publicly-traded companies who’ve been published in the “big name magazines” and those who aspire to be. Let’s talk about your project. Tamela was instrumental in the successful development of our book, "The Collaborative Sale: Solution Selling in a Buyer-Driven World"." The results have been demonstrable: the reviews for our book have been very positive, from clients and critics alike. I can recommend Tamela highly to anyone who is looking for a capable partner on a writing project. It was a pleasure working with Tamela on my book, "Retirement GPS: How to Navigate Your Way to Way to a Secure Financial Future with International Investing." Tamela knows business and finance well, so I didn't have to waste time bringing her up to speed AND she definitely provided value by making suggestions that helped strengthen my manuscript. If you're looking to write a book and don't know where to start, Tamela is your answer. Tamela provides a wide range of services to budding authors including a book writing masterclass, manuscript consultant services and providing developmental edits. In short, she can help you take your book concept from idea to a finished product.